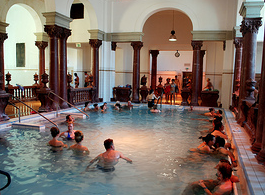 Although many tourists assume that Szechenyi Baths is a bigger pool, it may come as a surprise that Szechenyi Furdo is not only a huge bath and pool complex of 18 pools, but a complete wellness centre with various massages (medical, Thai, Swedish, relaxing), aroma therapies, facials and head and decolletage massages, saunas, and more. 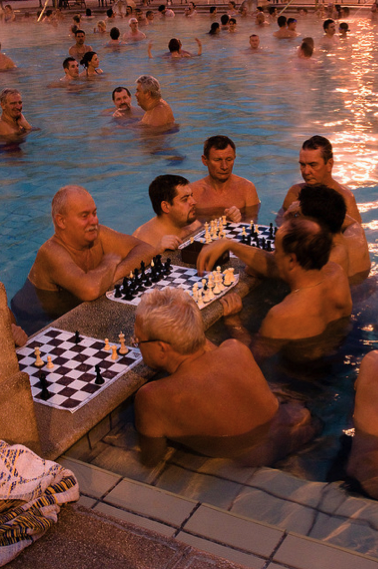 Did you know that your bath entry includes free aqua fitness classes or that you are welcome to play a chess party by challenging the local bath regulars! 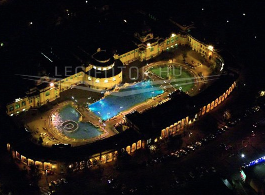 15 Indoor and 3 outdoor pools with thermal water (on weekdays 15, on weekends 18 of them are available): yes, Szechenyi Spa Baths is much bigger than most tourists assume. Prepare for a big complex, and a big relaxing fun time. Outdoor Fun Pool with jacuzzi and whirlpool: this is the big thermal pool with whirls and waves you will see in most tourists’ photos. Fun, fun, and fun. Are you a skeptic? Come along and see for yourself. Massages: amazing massages, well trained medical masseurs at Szechenyi Baths: undoubtedly one of the best (and best value!) massage therapies you can get in Budapest, Hungary. You can book your massage online now. 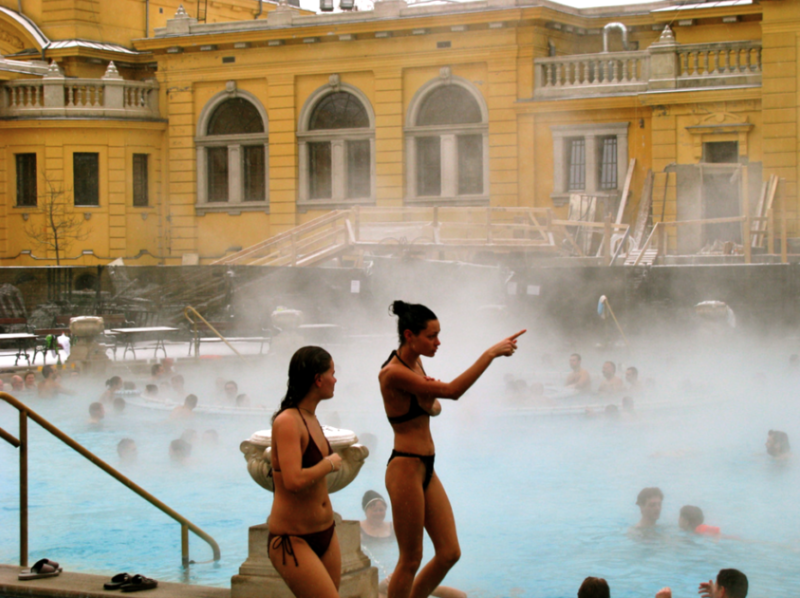 Cellulite treatment: get rid of unsightly bulging cellulite at Szechenyi Baths, Budapest. You can enjoy non-invasive cellulite treatments here. 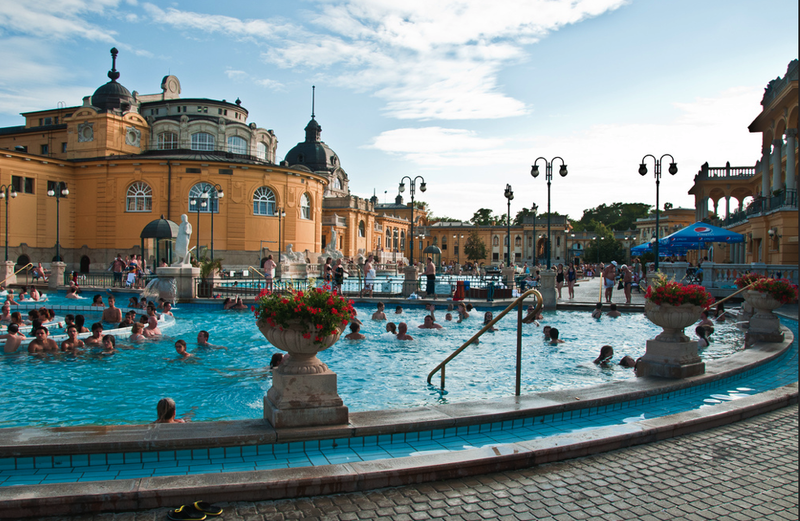 SPA detoxification: give your body and mind some break with the spa detox at Szechenyi Baths. Detoxify in one of the best thermal baths in the world with seriously beneficial health effects. Aquafitness – free aqua fitness classes at Szechenyi Baths start every half an hour, from 8 am to 5:30 pm. Anybody is welcome to join the classes. Move your body a bit, tone and stretch in the water without feeling the weight on your ligaments. Fitness centre – Szechenyi Baths and Pool is famous for its relaxing soaking waters, but there are many active classes and sports facilities if you are full of energy to burn. Get in the Fitness Centre! 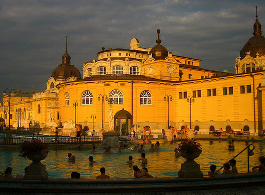 Body analysis – learn about your body at Szechenyi Spa Baths, BMI, blood pressure, etc. 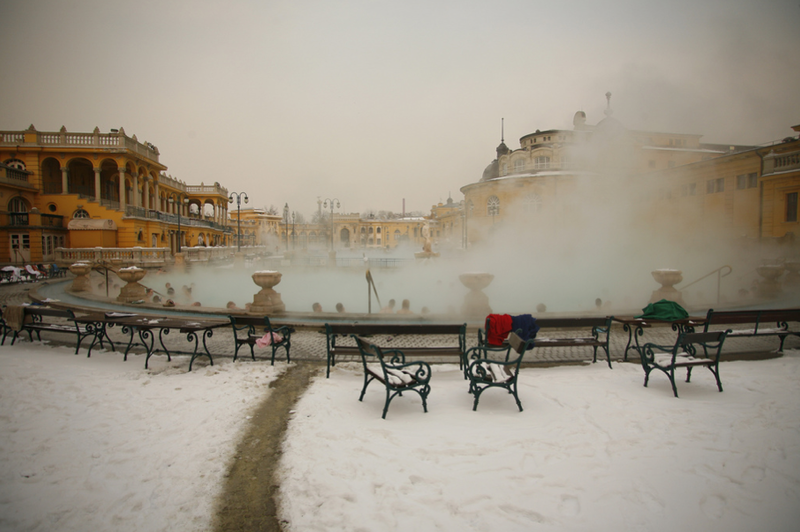 Spa tour (for visitors) – if you don’t want to take a bath but are interested in looking around Szechenyi Baths, you can enjoy a short 15 min guided tour at the bath facilities. Cafe, Bar – if you got hungry, you can grab something to eat and drink at the Bar of Szechenyi Baths. Hungarian specialties, sandwiches, soups, etc. 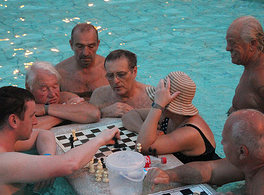 Chess: we support the long established chess parties at Szechenyi Baths. Join the amateur and trained chess players, no language barriers. 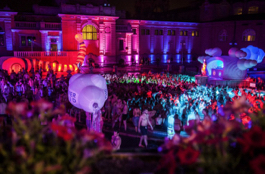 Hello, Coming to the Budapest Baths in October during the week and wondering if there are change rooms to change into our swimsuit, and if so, what are the costs of the change room? Also what is the cost to rent a locker to leave our watch etc. Thank you in advance for your reply. Looking forward to coming. Please advise if multi day Tickets are available. Thank you. 15-day passes are available on the spot at the cashiers, they are not sold online. Hi is there a refreshment/ bar in the baths? You can buy simple snacks, or fast food style warm meals and drinks in the Cafeteria in Szechenyi Baths.